The BIOFACH AMERICA LATINA – BIO BRAZIL FAIR will open ist doors again from 6 to 9 June 2018. 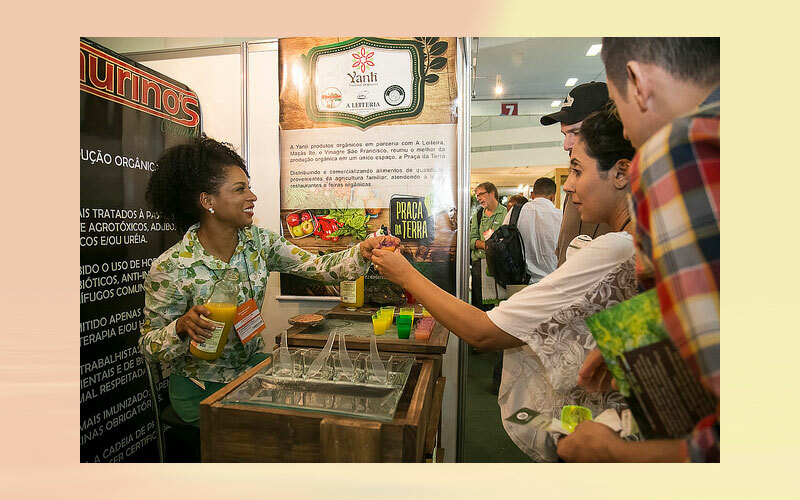 This 14th edition of Brazil’s most important organic products exhibition will be held at the Anhembi Exhibition Grounds in São Paulo for the first time. The BIOFACH AMERICA LATINA – BIO BRAZIL FAIR will open ist doors again from 6 to 9 June 2018. This 14th edition of Brazil’s most important organic products exhibition will be held at the Anhembi Exhibition Grounds in São Paulo for the first time. Visitors and exhibitors are expected from around the world, including from Peru, South Korea, the United States, Chile, China and Italy. This exhibition, to be held concurrently with the Naturaltech Exhibition, is the central point of contact for Latin America’s organic products industry. In addition to the new venue, the exhibition will feature organised business meetings and an international forum. In addition to the product show, the exhibition will serve as a central knowledge platform thanks to the “International Forum of Organic and Sustainable Production”, where numerous presentations and panels will deliver concentrated expertise in organic products over a total of more than 100 hours. In addition, the so-called “Area Conhecimento” and “Area Inspiração” featuring selected discussions and contents will provide inspirational ideas for Latin America’s burgeoning organic products sector. Concurrently, The BIOFACH AMERICA LATINA – BIO BRAZIL FAIR will also create ideal conditions for establishing business contacts in an exclusive setting of organized business meetings between vendors, buyers and retailers of organic products.